You can now turn your TV or set-top box into a virtual Windows desktop that lets you run Windows applications or browse the internet, all with Ncomputing's Numo chip, which is a form of a “system-on-chip” (SoC) device. . 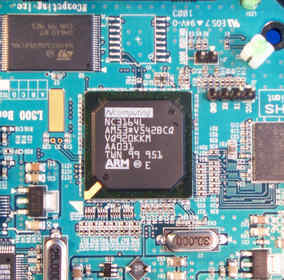 The Numo chip has a dual-core ARM processor which by using the Ncomputing's virtualization software, vSpace, can connect a TV or set-top box to a host desktop or server. The vSpace software runs on Linux or Windows based host machines. Devices with the Numo chip can also connect wirelessly to the internet, not requiring a host machine. There are plenty of applications for the chip, which is expected to sell for a staggeringly low $20, including in netbooks, laptops, TVs, desktops, e-book readers, tablets, media players, thin-clients, and monitors. The entire setup is based on the Microsoft's new RemoteFX technology, which will be made public later this year. Ncomputing is an established virtualization solutions company, and this marks their first foray into chip development. Gabriele Sartori, Senior VP at Ncomputing, said “The $20 chip plus under $10 cost in parts can turn any device into a no-compromise multimedia PC running applications locally and across the cloud”. The Numo chip was first glimpsed at the CES 2010, where Ncomputing's partner LG showed the world prototype Network Monitors. The first Numo-based devices should be out by Q2 2010. The real-world applications of the device are many, and can cause great savings in cost and energy, so much so that hundreds of companies have ordered thin-clients already, to deploy full-scale distributed computing solutions. With a tagline like “Save 75% on hardware. Save 75% on maintenance. Save 90% on electricity.”, Ncomputing is wowing business users across the world. Ncomputing has already shipped over 2.5 million thin-clients, with more than 700,000 of them going into the corporate space. More than 30 clients can be connected to a single host desktop, and as the clients only utilize the unused power of the host, they can all work simultaneously, surfing or using applications. Hundreds of clients can be connected to a server, and when properly distributed, thousands can access the cloud. Currently, Numo's thin-client retails for as little as $70, and if you consider that you need nothing more than a monitor, keyboard & mouse to start your work, you can get entire “workstations” for about $150, which is truly amazing, and highly cost-efficient. Each thin-client's power consumption is also astoundingly low, between 1-5 watts, which can even qualify clients in certain countries for energy rebates”! LG plans to start shipping its Numo-integrated monitors by June, and once they flood the market at an approximate price of $200, the world of distributed computing will change overnight. Steven Dukker, CEO of Ncomputing, has said that they will give away 1,000 Numo-based client devices at the Interop show in Las Vegas this April. Check out Ncomputing's website here.